Each and every passing day brings us closer and closer to the most exciting event of the offseason… the 2019 NFL Draft. The time will surely pass slowly between now and then, which is why diving into the draft process and all that it encompasses could be the only thing to occupy our minds during this downtime. In order to try and help all of us pass the time, I've decided to share with you some of the prospects the Dallas Cowboys could target in this year's draft class. Today, I want to focus on the focus on the wide receiver position. The East-West Shrine game and the 2019 Senior Bowl have provided a few potential draft targets the Cowboys could be interested in, and they've reportedly met with quite a few wide receivers already. With Cole Beasley's potential departure via free agency it makes sense, so finding his replacement could be a top priority. Enter Jakobi Meyers, former North Carolina State wide receiver. Below, I've provided a brief scouting report on Jakobi Meyers' strengths and weaknesses as a WR and his potential fit with the Dallas Cowboys. The Cowboys met with him at the Senior Bowl, meaning he is at least on their radar. 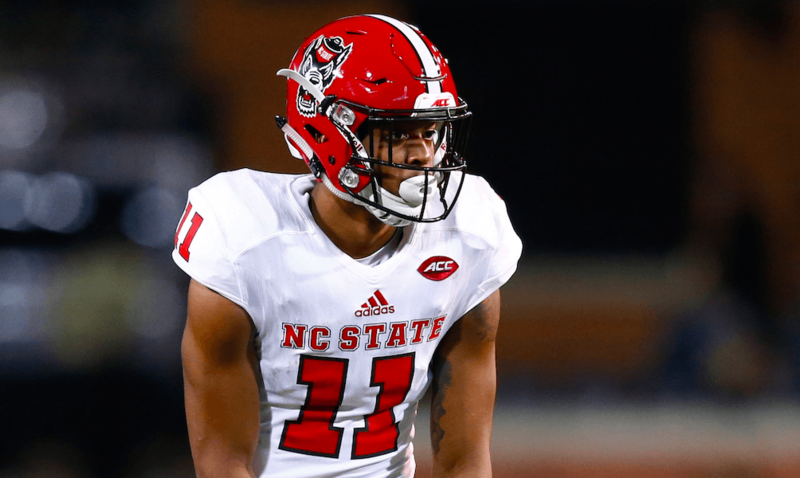 Jakobi Meyers played the majority of his snaps at NC State out of the slot. He has tremendous size for a slot WR, but could make the transition to the outside in the NFL. No red flags that I could find. He is a solid route runner and shows pretty good separation quickness on tape. He uses his quick feet and varies his pace to lull defenders asleep. Will get even better in this area once he improves his footwork a little with better coaching in the NFL. The play above was an easy pitch and catch between QB Ryan Finley and WR Jakobi Meyers and shows some of the separation he can create because of his route running ability. Meyers executes the out route - probably the route he runs best - perfectly for an easy completion. With the CB playing in off coverage he effectively sells the go route, then sticks his outside foot in the ground squaring off his route to the outside. His best trait though as a WR might be his ball skills. He shows tremendous concentration when the ball is thrown his way. In fact, I didn't see him drop any passes in the games I studied. He also possesses a wide catching radius with the flexibility to adjust and high-point the ball as a down the field receiver, although he wasn't utilized much in this manner in college. On this play you can see why I believe Meyers can play on the outside as well as in the slot in the NFL. He shows tremendous concentration and athletic ability to go up and catch this ball at the highest point. This isn't an easy catch to make. Despite there being a little hand fighting going on with the CB, he was able to use his vice grip like hands to catch the ball and secure it all the way to the ground. It's somewhat surprising he wasn't utilized more down the field at NC State. Meyers is also unafraid to carry his routes across the middle and shows really good competitive toughness. Doesn't give up on plays. Quickly goes from receiver to blocker when necessary. Has a really good football IQ. He sees the field really well and quickly finds the open space against zone coverage. Does a really good job of using his big body to shield defenders. Smart blocker as well. Stalk blocks and gets his hands inside on the defenders chest. His size definitely helps him in this area. Most of the weaknesses in Jakobi Meyers' game are due to the fact he is still learning the intricacies it takes to play the wide receiver position. He has only three seasons under his belt at WR after making the transition from quarterback. The one thing he probably needs to improve the most in his game is his footwork. He has decent quickness, but his footwork isn't where needs to be yet. He often times takes too many steps to try to set up his routes. Wish there was a little more juice when he makes his cuts in order to create max separation. Despite scoring a touchdown, the play above is a good example of why Jakobi Meyers needs to improve his footwork. He has a habit of taking too many choppy steps to try to confuse the defender, but lacks the explosion and quickness to create max separation out of his break. Improved footwork will improve his route running. Not the most explosive athlete. This hurts his ability to pick up yards after the catch, something I didn't see a lot of on tape at NC State. This also means he's not going to be the burner-type WR in the NFL. He has decent long speed, but needs time to build up to hit top gear. Having played mostly out of the slot at NC State, he will more than likely struggle against press coverage in the NFL. He has the size to do it, just wasn't asked to in college. Needs to do a better job sinking his hips when coming in and out of his routes. He's never going to be a shifty/change of direction WR due to his size, but learning to sink his hips when getting in and out of his route will help in that area. Also needs to learn to sell his routes vertically better in order to be more efficient with those underneath routes. Overall, Jakobi Meyers is an intriguing draft target for the Dallas Cowboys. Despite just having three years under his belt at wide receiver after transitioning from quarterback, you can see he possesses the skill set required to play the position. He's just an unfinished product, but the natural ability is there. His ball skills and natural hands are easily the most impressive part of his game. He would still likely remain in the slot with the Cowboys. No one's going to confuse him with Cole Beasley, but he could be an adequate replacement nonetheless. His ability to play in the slot and on the outside in time could make the offense more diverse, because he does have the ability to be a down the field receiver. After the Dallas Cowboys gave up 273 rushing yards in last season's playoff loss to the Rams, the defensive tackle position became a greater concern for 2019. It's one of the key spots that Dallas may address in this week's NFL Draft. It's unfair to allow one game to paint the entire picture. Before going to Los Angeles, things were looking good at DT with solid play from Maliek Collins and Antwaun Woods. We weren't even bemoaning the absence of David Irving; the Cowboys' defense had emerged as one of the top groups in the league. But then Todd Gurley and C.J. Anderson ran wild, and now it's left folks wondering if Dallas is going to be able to stand up to the elite teams in the NFL without some better talent in the middle of their defensive line. Collins and Woods are back in 2019, and veteran Tyrone Crawford should be used more at DT this year now that Robert Quinn here to play defensive end. Dallas also signed free agent Christian Covington from Houston to add to their interior rotation, plus re-signed Daniel Ross for depth. It's a solid group, but none of these players can claim to be a game-changer at this point. There are high hopes for what Antwaun Woods might be evolving into, but that's hardly guaranteed. Not only could the Cowboys stand to add more talent to the mix, but they may need to draft someone now in preparation for the future. Assuming everyone sticks around in 2019, next year could see a mass exodus from the current DT depth chart. Crawford is likely to be a salary cap casualty while Collins and Covington will be unrestricted free agents. Even Ross and Woods will technically be free agents, but they will be under the Restricted and Exclusive Rights designations so Dallas can easily keep them if they choose to. Clearly, though, the Cowboys should be thinking ahead when it comes to their defensive tackles and this draft. And their second-round pick, 58th overall, may give them an opportunity to get better now and find a long-term answer. True, Dallas has not typically used high picks at the DT position. The third-round pick they spent in Maliek Collins in 2016 was the highest since Willie Blade was a third-round pick in 2001 (Crawford and Jason Hatcher were originally drafted as 3-4 defensive ends). But this 2019 presents some unique circumstances. Dallas is covered at almost all of their "glamour" positions; it's rare they don't have a crucial need for a WR, CB, DE, or some other position of greater notoriety. Plus, you could make a case for DT being the most pivotal need on the entire roster. It depends on how you feel about the current talent at safety and tight end, but you could make a case for the interior defensive line needing an upgrade as badly as any spot on the team. Because of comparable need at positions like TE and S, the Cowboys aren't going to reach to fill any position. They will only take a player who they feel offers great value. One guy who could fall to the 58th pick is Dexter Lawrence from Clemson, a mammoth DT at 6'4" and over 340 lbs. He's not only a run-stuffer but has shown the athletic ability to even get into the backfield at times. It's going to take that kind of player to make Dallas pull the trigger on a DT in the second round. But even if it doesn't happen then, you can expect someone to probably get drafted somewhere in the team's earlier picks. Because of their 2019 depth, Dallas might also be willing to take a chance on Jeffery Simmons out of Mississippi State. He has an ACL injury from the combine which might cost him most of this year, but Simmons is a first-round talent. As we saw a few years ago with Jaylon Smith, the Cowboys are willing to take the risk for those kind of players. And Simmons' prognosis isn't nearly as dangerous as Jaylon's was. 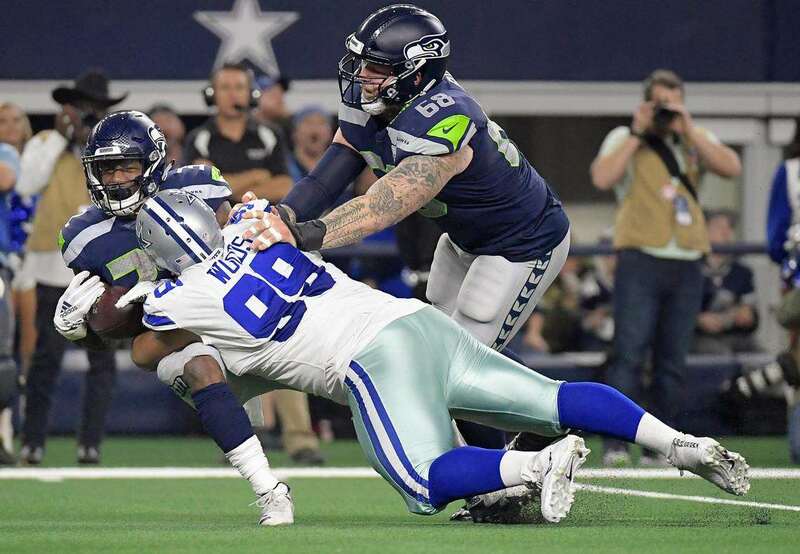 However it goes, defensive tackle is certainly a position of need for the 2019 Dallas Cowboys. Despite their history, don't be surprised if they draft one high this weekend. The draft needs have been discussed. You've read the mock drafts. The Dallas Cowboys have put their draft board together. Now all that's left to be done is for the Cowboys to go and draft football players. The NFL Draft will begin on Thursday night, but the Dallas Cowboys won't go on the clock -- unless a dramatic trade up occurs -- until Friday night when the second round begins. There's been a ton of speculation on who the Dallas Cowboys could select when they eventually get their turn to add to their roster. Positions like safety, wide receiver, tight end, defensive end, defensive tackle, and cornerback have all mentioned in line with the Cowboys selection at pick 58. Though anything is possible, it's unlikely that the interior defensive line will be the direction the Cowboys go with their second round pick. You have no further to look than the Dallas Cowboys draft history since 2011 when Head Coach Jason Garrett entered his first draft with the club as their permanent head coach. 2014 2 34 Demarcus Lawrence DE 22 2014 2018 0 2 3 33 64 47 1 34.0 Boise St.
2012 3 81 Tyrone Crawford DE 22 2012 2018 0 0 5 31 92 74 22.0 Boise St. Since Jason Garrett took over as head coach of the Dallas Cowboys, they have only drafted four defensive tackles. Tyrone Crawford, who was drafted as a 3-4 defensive end in 2012, has been more of a hybrid player. But if we consider him an interior defensive lineman, then the Cowboys have only selected five interior defensive linemen in eight seasons. Only twice did they use a pick higher than the seventh round on an interior defensive lineman. 2012, when they selected Tyrone Crawford in the third round with the 81st pick in the draft. Then in 2016, they took Maliek Collins with the 67th overall pick of the third round. Every other defensive tackle choice has been in the seventh round. Compare that to the defensive end position. On the EDGE, the Cowboys have selected six players, only one of them being a seventh round pick. Of their six defensive end selections, one was in the first round, two were in the second (Randy Gregory not listed), two were in the fourth, one was in the fifth, and one was in the seventh. The Cowboys have used picks in just about every round to find their defensive end rotation, but have been reluctant to spend premium picks on a defensive tackle. Generally, Rod Marinelli gets blamed for the lack of value placed on the interior defensive line, and some of that is true. Since Marinelli became the defensive coordinator in 2014, the Cowboys have only selected three interior defensive linemen. Maliek Collins was the only one of the three not selected in the seventh round. Every other Rod Marinelli-era defensive tackle addition has been in search of a diamond in the rough. They found it, though temporarily, with David Irving and have apparently done so again with Antwaun Woods. The additions of Christian Covington and Kerry Hyder -- who played on the interior for Matt Patricia's 3-4 defense in Detroit -- seem to be further attempts to find rotational players at a low cost. This year's NFL Draft has really good depth at defensive tackle. While a lot of the names at the top like Quinnen Williams and Ed Oliver have gotten most of the hype, there are players in the third through seventh rounds that could be week one impact players. 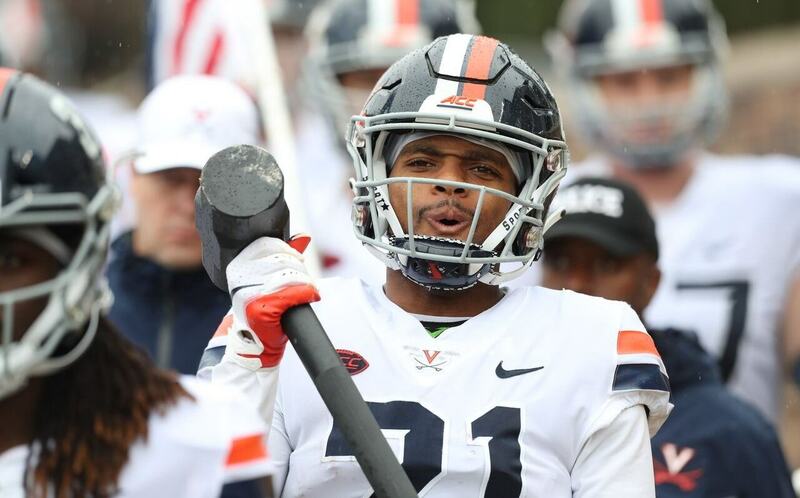 Whether it's a Trysten Hill, Gerald Willis, Charles Omenihu, or Renell Wren in the second or third, or a Kingsley Keke in the fourth or fifth, the Cowboys will likely have options when attacking the defensive tackle position in the draft. With a lot of their pre-draft visitors coming at the safety and wide receiver position, it seems much more likely that the team will allocate their second round pick to upgrade one of those position groups. Considering the contracts of Byron Jones and Robert Quinn are up after the 2019 season, it's possible that the Cowboys even look at cornerback or cornerback with the 58th overall pick. The Cowboys are pretty deep at the defensive tackle position with Antwaun Woods and Christian Covington your primary 1-technique defensive tackles and Maliek Collins, Tyrone Crawford, and Kerry Hyder your primary 3-technique defensive tackles. Unless someone like a Jeffrey Simmons, Dexter Lawrence, or Christian Wilkins falls to them or within striking distance of a trade up, expect the Cowboys to use their first pick in the draft at a different position. With the NFL Draft quickly approaching, the shortlist of prospects for the Cowboys to target with their first selection grows narrower and narrower. Now, when the Cowboys come on the clock Friday night, fans will have a clear idea about which group of players they'd like to see the Cowboys choose from. Will they look for an athletic defensive back with "Swiss-Army Knife" type ability? Or a hard-nosed defensive lineman who can win with effort and power? Right now, it's all speculation, but here is my personal wishlist for the Dallas Cowboys at 58th overall. Specifically, land either Washington's Taylor Rapp or Virginia's Juan Thornhill. The Cowboys won't be able to control which, if either, is available when they come to the podium, but both would provide their defense with something different. Taylor Rapp is more of what the Cowboys need right now. He can play strong safety, he can play in the box, and he should be a solid professional and have a nice career. Juan Thornhill, though, is the one I see with a gigantic upside. His athletic profile puts him in elite category, and his tape is more than good enough to justify a top 50 pick, let alone finding him at 58. Thornhill is the more versatile defensive back, while Rapp fits the "strong safety" prototype much more traditionally. Either way the Cowboys will be making an excellent selection if they add one of these two players to their roster. Hopefully, they'll be available at the end of round two, but I'm certainly more skeptical about Rapp making it there. This, on my wishlist, means taking either Boston College's Zach Allen or UCF's Trysten Hill. It would be a bit of reach to grab Hill here, admittedly, but he's a good player that would fill a need of sorts right away. The Cowboys made some moves to help out the interior of their defensive line throughout free agency, but drafting a young gun is never a bad idea. I'd be more comfortable taking him at 90, but certainly won't be mad about it at 58. While Trysten Hill might be considered a reach at 58, Zach Allen could be a steal. The 6'4" 280 pound defensive end is stout against the run, setting the edge and playing physically against offensive tackles, but he also offers upside as a pass rusher as well. His strength, effort, and heavy hands are impressive both against the run and pass. 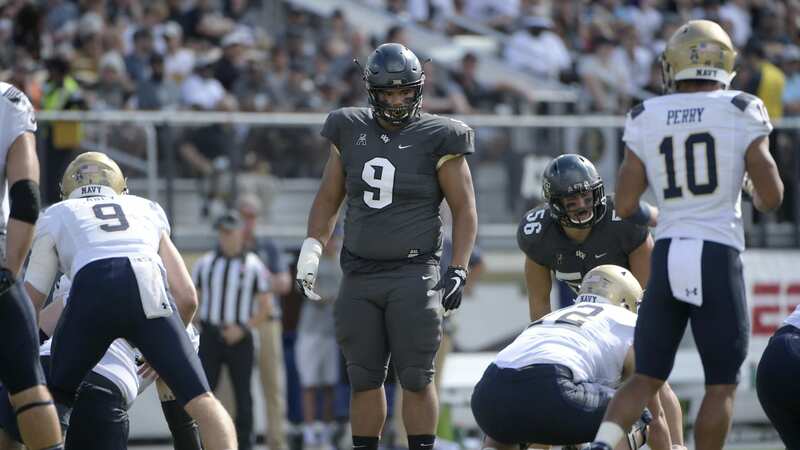 You can never have enough talent across the defensive line, and both Zach Allen and Trysten Hill would give the Cowboys just that.